Billy No Mates (Or how to find out if someone has ignored a Facebook friend request). Want to know who’s ignoring you? This came up in work today – as we were looking at FB activity and how to work out if a friend request had been turned down. 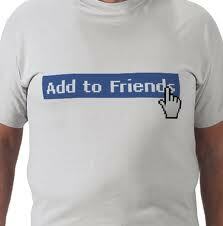 If you’ve sent a friend request – and someone has hit the “Not Now” button – the “Friend Request Pending” will DISAPPEAR. If they HAVEN’T hit it – it’ll stay there. So – if you want don’t someone to know that you don’t want to be friends with them – don’t hit the “Not Now” button – just ignore it. Kind of like that fat girl / geeky guy who’s making eyes at you over the bar. Ignore. Take no action. « 4 “Must Have” Online Marketing & Social Media tools.